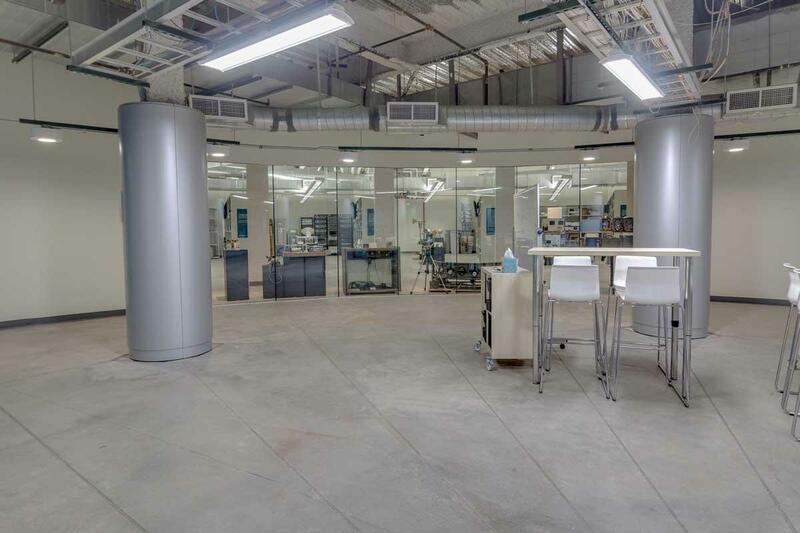 Our Learning Lab has been booked for the next eight months and is no longer available (11/15/2018). 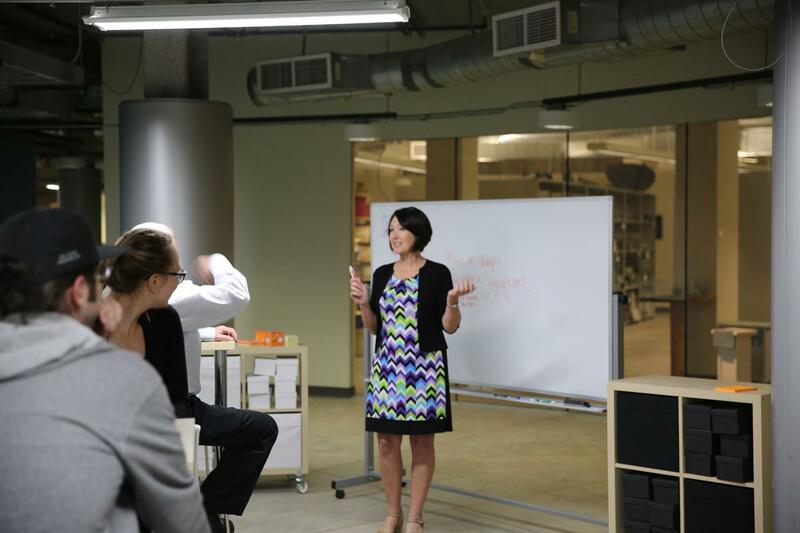 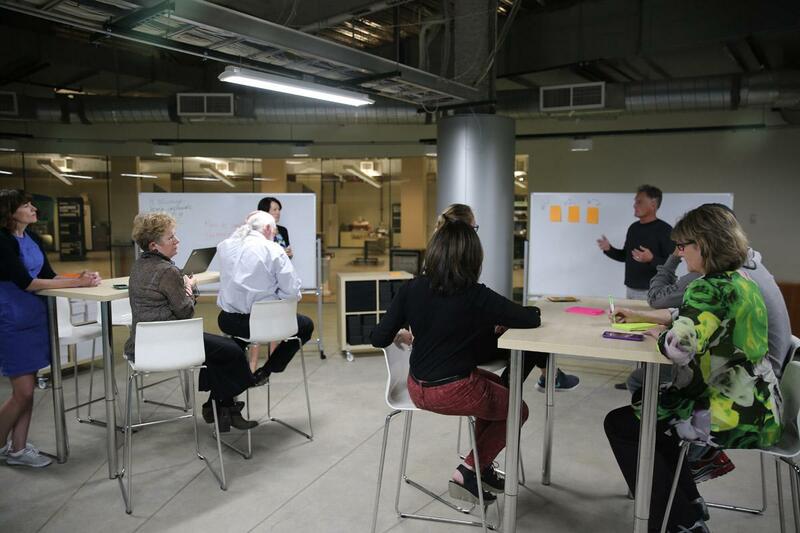 Modeled on a Design Thinking model, our Active Learning Lab provides a flexible environment where up to 20 people can work in small or larger groups to brainstorm, problem-solve, and develop creative solutions. 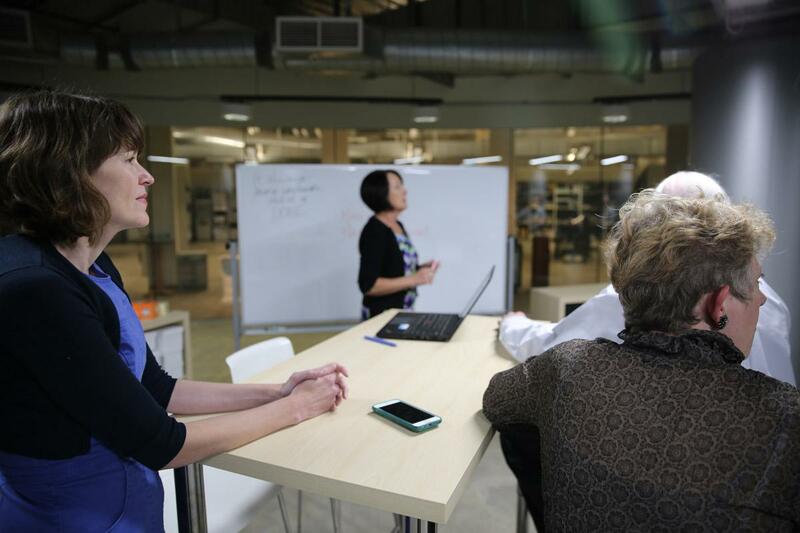 Instead of the traditional lecture-oriented room, this new, interactive classroom setup enables group learning and collaboration. 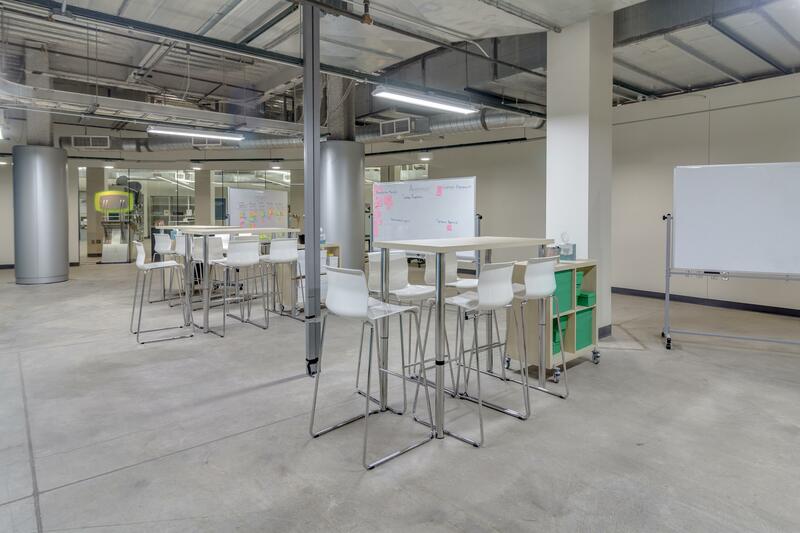 You can rent the space, which contains three workstations each comprised of a whiteboard, high-top table and chairs, and supplies such as markers and sticky notes. 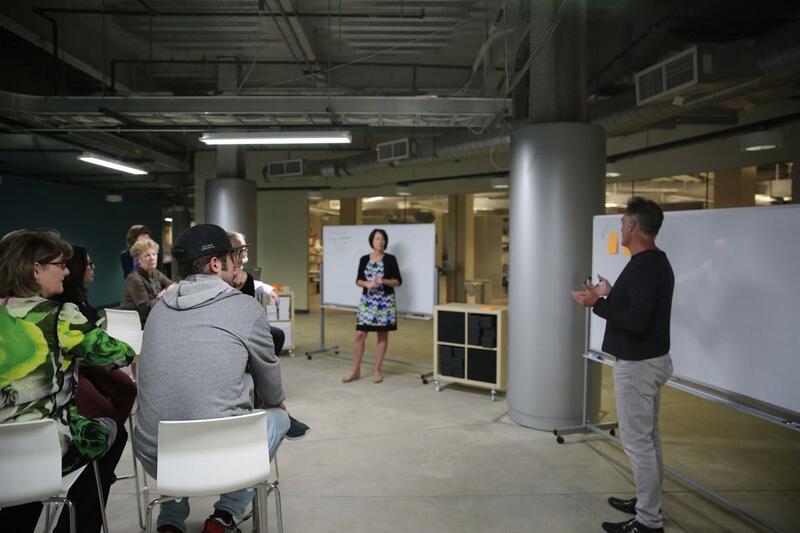 Additionally, we can provide a facilitator trained in Design Thinking methodology to guide your group through the creative or problem solving process.